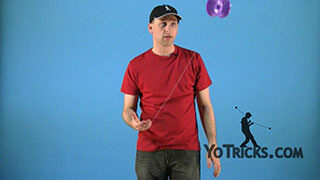 Learn the Basic Throw for Offstring Yoyoing (4A). Basic Throw for Offstring Yoyos Yoyo TrickIn this video, I am going to teach you how to do the basic throw for offstring yoyoing. 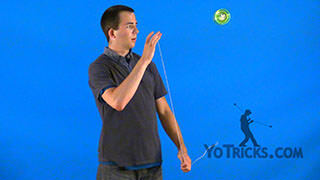 When you are doing offstring yoyoing your first throw is really just like your forward toss, which we taught you earlier. If you have not learned that it is a good idea to go find that video and watch it. 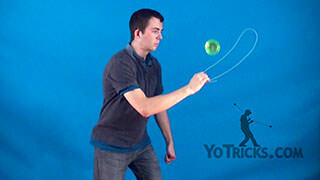 Once you’ve got a good forward toss you are ready to learn this trick. 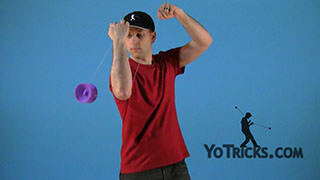 Instead of throwing the yoyo forward like you normally would, you want to angle it up just a little bit. That way when it comes off the string it is not too far away and that gives you a chance to catch it. 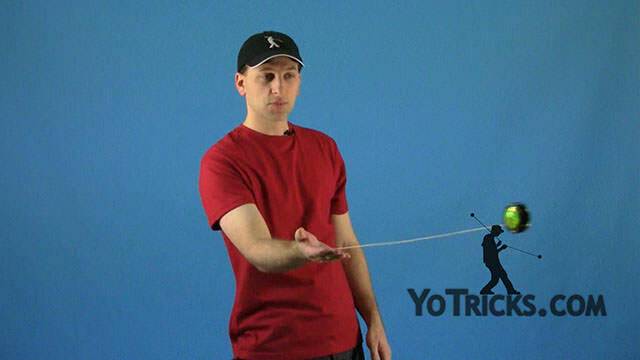 As the yoyo is going up in the air, what you want to do, is you want to make your opposite hand hit the string before the yoyo comes off of it. 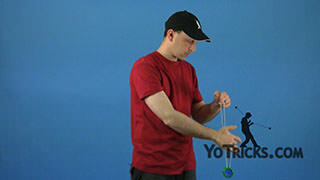 I just hold my hand right here right next to my yoyo hand as I am throwing it up, I hold it about right here. 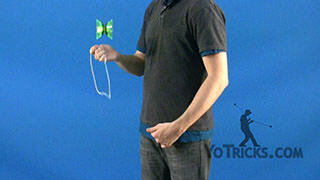 As the yoyo comes off the string I can grab that string, and that allows me to open the string up and catch it. 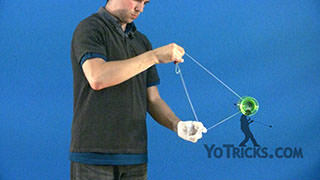 The other thing I do is, as the yoyo is up in the air, I pull my hands apart a little bit. 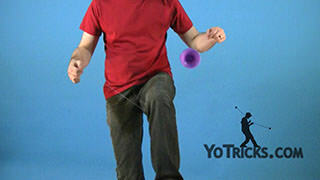 That gives me a little bit more room to catch the yoyo. That makes it a little bit easier. 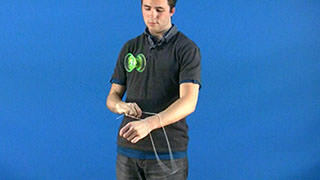 As you are doing that the string is going to be sliding between your fingers. 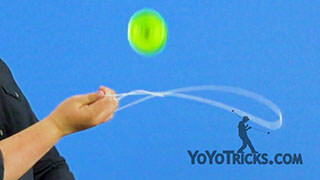 Make sure you do not pinch the string too tightly, because that can end up burning your fingers. We don’t need to do that, of course. 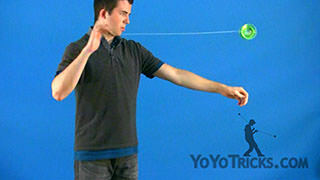 Again, you are just going to throw the yoyo up, you are going to separate your hands. 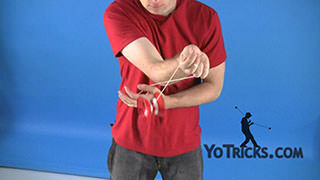 It is a little bit easier if you try to catch the yoyo close to one of your hands because you can gage a little bit better where the string is. 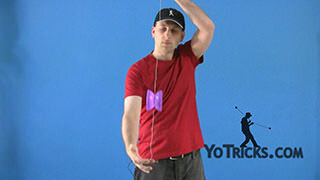 The other thing I do is I try to keep my yoyo hand very close to my body, and I use my opposite hand to move out. Just like that. 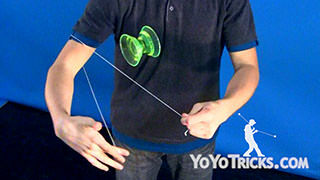 That makes it a little bit easier to see where the string is in relation to the yoyo. It makes it a little bit easier to catch it. 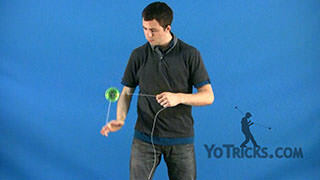 Once you get the yoyo onto the string you may find that it gets a little bit tilted sometimes. All you need to do is just twist your hands, kind of like this. 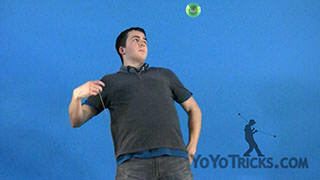 You can see if I do that it adjusts the balance of the yoyo. 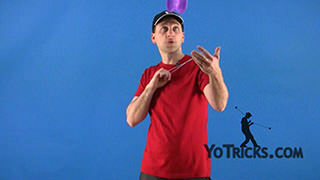 That’s good because sometimes when you are doing a lot of your different tricks, sometimes the yoyo will get off-balanced. You can use that to correct it. 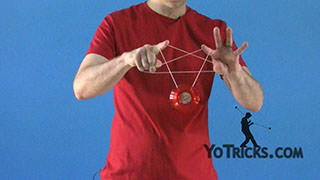 Just move your hands to either side and that should balance the yoyo out just fine. 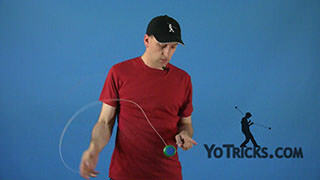 The other thing, you want to make sure to get your throw down really well, because if you can get a very good spin on the yoyo it will make a lot of tricks easier to do, especially your bind, which is what I am going to show you now. 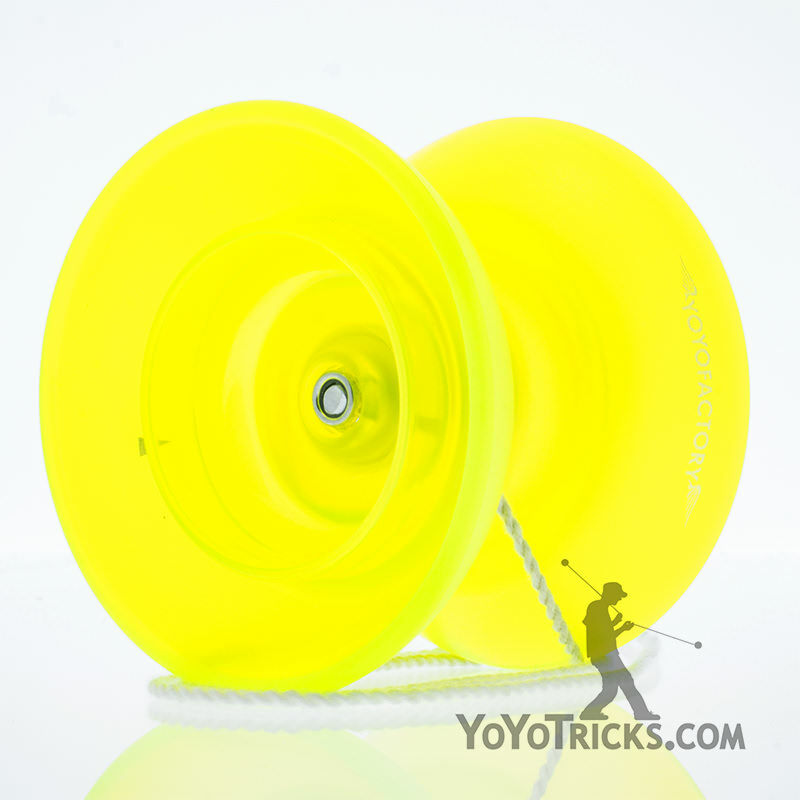 Once you get the yoyo spinning, you need to find a way to get it back. 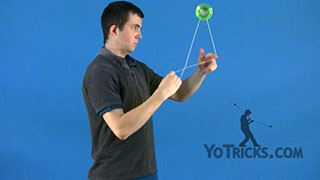 All you are going to do is bind, kind of like you do in unresponsive yoyoing. 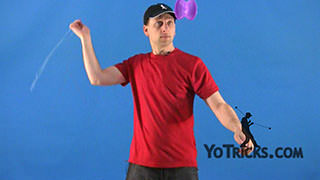 To do this all you need to do is swing the yoyo forward a little bit and you are going to drop your opposite hand underneath the yoyo and let go of the string. You want to make sure when you do it that you keep the string tight. 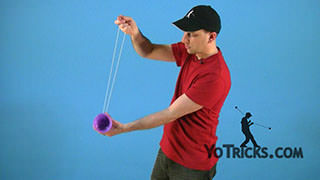 You do not want a lot of slack in the string because that can make the trick mess up. 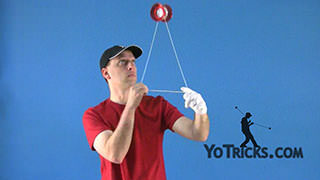 Again, just swing the yoyo forward a little bit. Just drop your opposite hand. 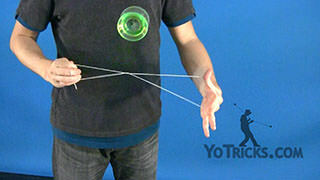 When it gets just below the yoyo let the string go. 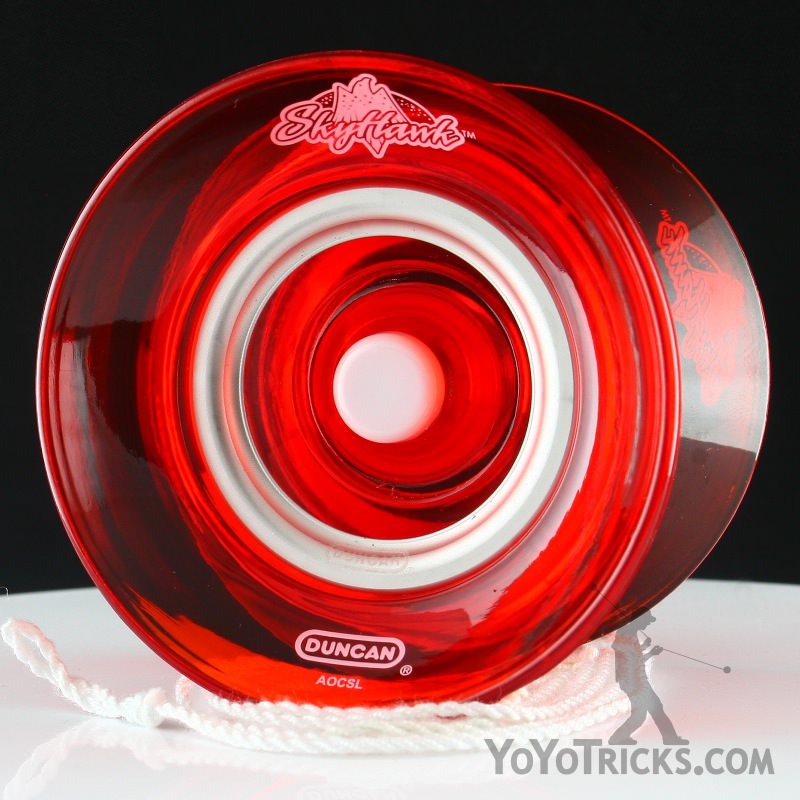 With any luck that should just make the yoyo come right back. That’s your bind. Like I said, this is the throw. Make sure you practice it, get it down really well. 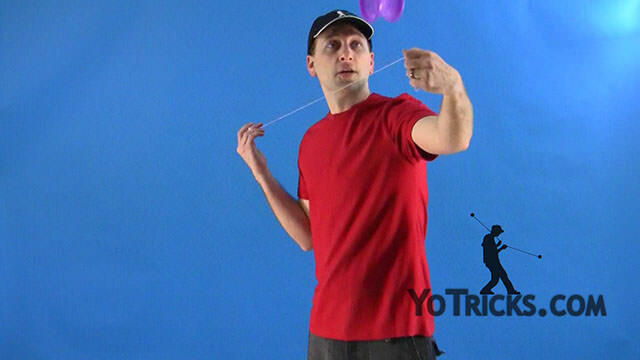 Try to make sure that you get a lot of power out of your throw as you are working on other tricks, that will make things easier. That should get you started with your offstring tricks.